FlipKarma is an initiative to answer all these questions and to improve the quality of these student projects. 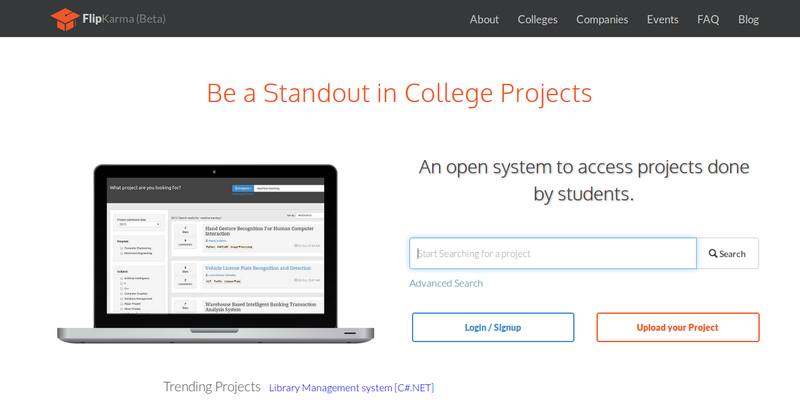 FlipKarma’s platform has been designed for maintaining an online repository of college projects and helps colleges as well as students build their reputation and exposure to the outside community. Ultimately, FlipKarma aims to be a platform where students can get new, exciting project ideas, validate their project ideas before scratching them and share their creativity. The core value of FlipKarma lies on connecting students and the universities with outside communities having similar ideology. Meroanswer is a web and android app for students to prepare for Engineering and Medical entrance examination. 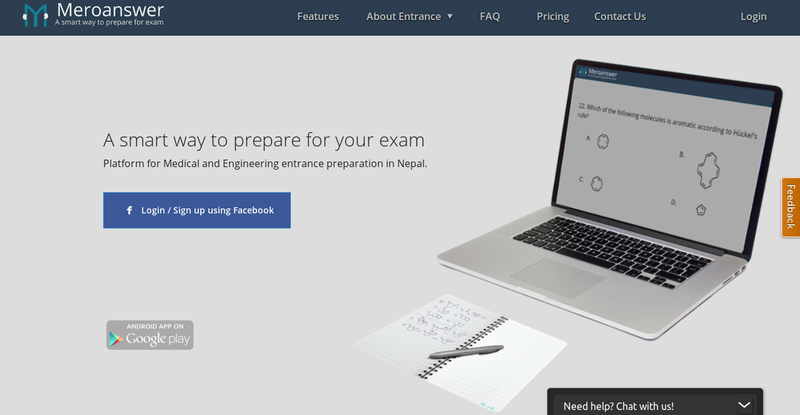 It helps students to practice model exam of engineering and medical universities in Nepal. There is a tough competition to get scholarship in Medical and Engineering. Each year 20,000 students appear for Medical entrance from which only 300 get scholarship. In engineering, around 300 get scholarship among 10,000 applicants. If students can practice objective questions that are asked in entrance exam from the start of their +2, they can be well prepared for the examination. By using Meroanswer, students will be prepared for both entrance and +2 exams at the same time. 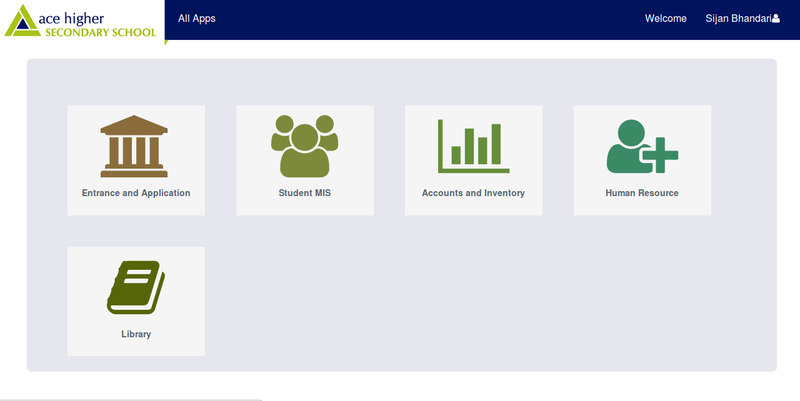 Ace ERP - Enterprise application to handle activities like applicant interview, student admission, HR and inventory, financial and academic information management of students and teachers. We researched and mined educational data of 33K schools in collaboration with Department of Education, Nepal. We developed an Educational Index Analyzer : effective tool to calculate the Educational Development Index of every districts of Nepal. We worked on regression Analysis and developing student performance model based on student participation and enrollment, school facilities and teacher availability. I'm truly passionate about my work and always look forward to solve challenges around me. While I enjoy all aspects of product development, my favorite part is bit different. I love to focus about the end impact and figuring out 'Are we adding something to make our world a better place?" I have gathered extensive knowledge on Python, Django and front-end development with Anglarjs. I am working to learn more about software practices and usage of cloud computing resources for better development and management. I also practice data science and machine learning algorithms to solve small problems using Pandas and Scikit-learn. I CoFounded an education based startup 'Phunka Technologies', worked primarily on system architecture/database module design and implementation. I was also a part of social media/offline marketing for the product promotion and advertisements. I worked as a Data Engineer for a London based startup, OnBoardMe, focused on designing pipelines to feed unstructured data from different sources to the database and providing an API for a recommendation system. After that, I joined one of the innovative companies of Nepal - Leapfrog Technologies. My responsibilities are Building Algorithms for loan assignment, designing​ ​ standalone​ ​ python​ ​ module​ ​ for​ ​ data​ ​ extraction,​ ​ parsing,​ ​ and​ ​ storage, providing​ ​ Data-Access-Object​ ​ (DAO)​ ​ interface​ ​ for​ ​ Oracle, and developing​ ​ test​-automation​ ​ module​ ​ using​ ​ selenium​ ​ and​ ​ python. Currently, I am doing my Master in Computer Science at Technical University of Kaiserslautern, Germany.